Nate began serving as Senior Pastor of Trinity Baptist in September of 2007. Prior to moving to Amarillo, he served as Senior Pastor of a church in South Carolina, and prior to that as a Youth Pastor of a church in North Carolina. 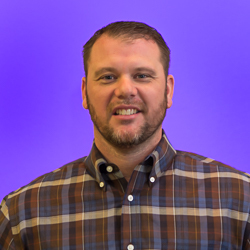 Nate holds an undergraduate degree in Organizational Communication from The University of North Carolina at Charlotte (BA - 2000), as well as a Masters (MDiv - 2004) and a Doctoral (DMin- 2018) degree from The Southern Baptist Theological Seminary in Louisville, KY. He has been married to the love of his life, Amy, since May of 2000. God has blessed them with three wonderful children: Jackson (2004), Garrison (2007), and Annison (2010). Nate enjoys spending time with his family, reading, following sports, and vacationing in the mountains.